Many avid knitters are also avid knitters – but there can be problems when you want to do both at the same time. 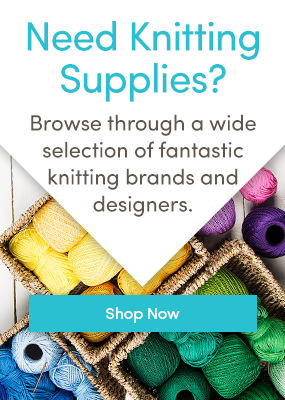 Are you a knitting bookworm? It’s a common problem among knitters – should we spend our evening reading, or spend it knitting? We certainly can’t do both – not without a lot of dropped stitches and plot lines. What to do? Not everyone understands our intense need to read. Some people are happy to zone out to the television (and that’s fine too! ), but for us, the struggle is real. How can we handle being three chapters from the end of a book and 3 rows from splitting the sleeves for our top down sweater project? How can we do it all? I can guarantee that this is a terrible idea. I can guarantee this, because I have done it, and as a result had to rip back 4 inches of work to fix multiple mistakes. It doesn’t matter how careful you are or how simple the pattern is, you will get distracted by that cliffhanger ending at the end of chapter five and drop a few stitches. Then you’ll cable the wrong way and mess up your decreases, and then you’ll hate life. This doesn’t work either. If you try to read a few lines in between knitting rows, you’ll lose track of the plot and read the same paragraph over and over again. Trust me – I’ve tried. It’s hopeless. For some knitters, audiobooks are the answer to all their prayers. It’s a dream come true: keep up with your (several) book clubs, and finish your sweater in time for autumn. For other knitters (yours truly included), audiobooks are not an option. Many others find the narration of books distracting and borderline stressful; I prefer to absorb my literature in silence, by myself, like the anti-social hermit crab that I am. My only solution is to find some way to do both. Aside from developing extra eyes on the top of my head, so far my best option is to knit a set amount of rows, and then read a chapter. Rinse and repeat, my friends, rinse and repeat. It’s not a perfect solution but it’s the only way (outside of an audiobook) to get knitting and reading done in the same evening. Okay knitting bookworms: how do you solve the problem of being a bookworm and a knitter at the same time? Love knitting humor? Follow us on Bloglovin’ and never miss a post. Last updated: April 28th, 2016. Great article, I know the struggle! Caught this as well! Unfortunate that someone who proofs didn’t catch before publishing the article! I absolutely knit and read at the same time. Neither goes very quickly…but it works fine. I have several projects going at once, and there’s always one “no brainer” knit that I can do while reading. But I’m sure not doing it with the brioche scarf I’m making! I love to knit and read at the same time, but only stockinette in the round. For the life of me, I can’t master knitting any kind of pattern while I read, not even a simple 2×2 ribbing. But stockinette in the round…. I just knit a few stitches to get my fingers moving then begin reading. Occasionally I drop a stitch but when it comes around again, my fingers feel the error & I pause the reading to fix the knitting. I have no problem reading and knitting at the same time. I read this article while kniting, as usual. There’s always a ‘straight-stockinette’ project near my computer, to knit while I read stuff for work, or knitting posts. I also read magazines and novels while knitting, as long as I don’t have to hold the book open. My favourite kind of knitting while reading is done outdoors, on my balcony or at a lawn table, with a tray of tea nearby. I knitted most of my After the Rain sweater while reading Game of Thrones outside, last summer; it’s just easy 6-row stripes, once the yoke shaping is done. I’m working a three way conundrum myself. If it’s not knitting, it’s reading. Not reading, then drawing. Not drawing, then knitting. I’ve come to the bitter conclusion that I have to pick one thing and go to it. Although listening to podcasts is certainly my go to during knitting, as I’m already thinking a ton anyways, so while my hands are moving, my mind is perfectly happy with hearing snippets of Startalk or Welcome to Nightvale. I live in house with lots of other people so whenever I am alone and/or it’s really quite I will read, then any other time I will knit. Love this artical by the way! I use Kindle reading option. I have 1 Kindle( use to have a Fire but it died) my husband’s first generation iPad and my iPad 2. All 3 have Kindle books and or I pad books. I read and knit all the time. When I have yo concentrate on a pattern. I do the pattern, plain knitting I read and knit. Sorry I can do both at the same. Use a Kobo so the book rests on my knee and granted only for stocking stitch. I concentrate on the reading, I have been knitting for over 40 years so my fingers know what they are doing. Saying that I first tried it over 20 years ago and did lose the plot of the book. Years ago I was knitting, reading and carrying on a conversation with my sister. My brother in law changed the channel on the TV and I objected saying I was watching the film. He told me there was no way I could have been. I recounted what had happened so far in the film. He changed the channel back. Of course I was much younger then. Doubt I could do it now. I knit and read all the time! However, it has to be a really simple pattern like stockinette, garter or ribbing. Forget cabling or lacy patterns. I also knit those easy patterns in the dark while watching movies since I don’t really have to look at what I’m doing. I am working on a double blanket stocking stitch 200 stitches per row in chunky wool. It’s perfect for reading at the same time – either on the kindle or propping the book open with my foot or a heavy object. Like the knitter above says you feel the error on the way back and correct it then. It’s amazing how quickly the knitting grows when I’m engrossed in a top book. I’ve no problem combining knitting and reading but it depends on the complexity of both – a page-turner of a novel or a magazine works well but intellectually challenging books and those that only stay open when I hold them in my hands are a different kettle of fish. Please, publishers, more books that open flat … then I can read while manipulating a knife and fork for eating as well as knitting. I’ve been knitting and reading (books on Kindle, magazines, etc.) for some time now, but definitely not while doing something complex,like lace. I recently installed an extension (TelePrompter) that automatically scrolls down web pages, so no need to use the mouse. I used to do this as a student, especially when revising, but only with st.st. The welts and any detailed shaping were done with my full concentration. It was a long time ago, before the market was flooded with cheap imports of knitwear, and it was at least as cheap to knit as to buy ready-made so saved my student pennies. I would sit in an arm-chair at a normal height table. The book was on a book-rest on the table, so at eye level. The knitting was down on my lap, out of the line of sight, so I only had to look at it to turn a row or deal with any an increase or decrease that was due. when my children were in grade school I promised to read Lord of the Rings to them. I was also knitting a sweater for my husband. The main problem I have with reading aloud is that my eyes can go so much faster than my speech, so knitting while I read solves the problem! Incidentally, in one of her books Elizabeth Zimmerman mentions doing both activities at once, so I am in good company. I usually read while I knit and only rarely have a problem. Just tonight I read a novel while knitting a sock with a lace pattern, including the heel turn. Audio books are no good for me because the reader is so much slower than my own and I tune out the narration, especially at work. And I thought I was one of a kind. Glad to know there are other read-aholic/knit-aholics in this mixed up world. When teaching school I told my students about combining the activities and they all were ready to vote to have me committed. However, I have some lovely articles of knit and crochet while enjoying wonderful books and articles. Especially my Kindle. Love it! I avoided learning to knit for years…not because I didn’t want to know how to knit, but because I was afraid I would not have time to read. I am glad to report that the knitting won 13 years ago, but, alas, the reading has suffered. Audio books are fine but I prefer the pleasure of reading. I haven’t mastered the technique of knit/read. I will continue to practice. Audio books for me every time. True, I have to choose the narrator with care but I have listened to some great literature whilst knitting. I never listen whilst casting on and establishing the pattern not because I find the audio distracting but quite the opposite, I blank out the narration and have to listen again. Many of the books I choose can be 30 – 40+ hours long and I know I’d never read a book of such length. I let excellent, professional people do the work for me. My husband is an avid model maker and completely disagrees with me. So it’s a totally personal choice. I too am an avid knitter and reader. I have a book chair and rest my kindle on to read while knitting. Good with plain knitting but still manage it with a pattern but takes a little longer to get through the book. Great multi tasking. Love it and time goes quickly. I do both. When knitting is very intricate, especially cables where your juggling stitches, I match those projects with situations, type of reading, Deaf-HH makes audible books not a favored format.